You are still not sure where are you going to celebrate New Year's Eve? The city of Krk offers many options. But if you are not for celebration on the town square, our doors are open for you! This New Year's Eve program starts at 8:00 pm with a glass of aperitive and light music. After the aperitive, the program continues in the restaurant of Hotel Dražica with a sensational buffet dinner with various warm and cold appetizers, main dishes and various specialties, as well as tasty sweet options. This year, lovers of polka and waltz will be pleased! For good atmosphere, Family Band will take care of that with its oldest member - the accordion. Make your reservation on +385 (0)51655 570 or you can contact us online. If you are more for an intimate atmosphere, we recommend our New Year's Eve celebration in luxury hotel Marina. We prepared a gourmet menu with 6 courses. And while you enjoy the food, you will enjoy in music selection of DJ APA who will take you through a full set of musical decades and genres. 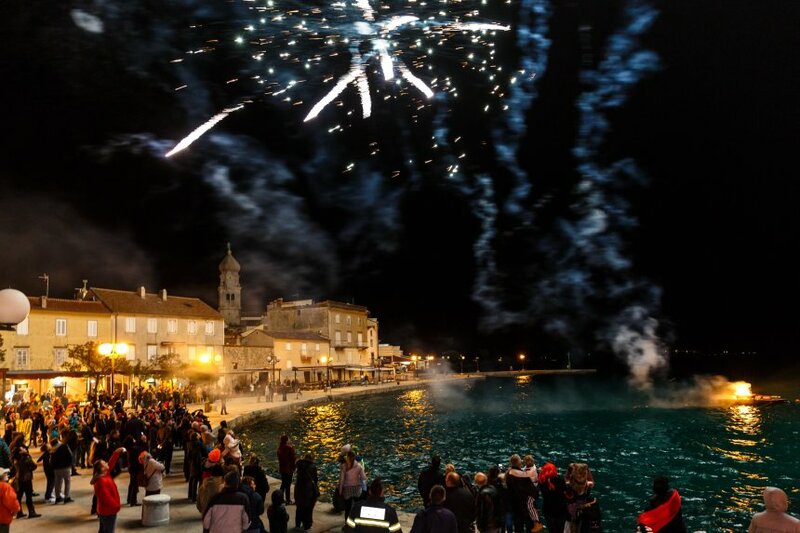 We also prepared a treat for all the residents and guest of City of Krk - lavish fireworks!